Researchers at The National Institute of Standards and Technology (NIST) in the US have developed a artificial superconducting synapse that learns like a biological system and could connect processors and store memories in future computers operating like the human brain. It has been a missing element in neuromorphic computers. In the nervous system, a synapse is a structure that permits a neuron (or nerve cell) to pass an electrical or chemical signal to another neuron or to the target cell. ).It is a connection or switch between two brain cells The synapse is widely believed to be integral for both learning and memory. With approximately 10^15 synapses in the human brain, it is a critical component of neural circuitry.In human brain learning happens by altering behavior of the junction between neurons(synapse). Neuromorphic computing, is a concept developed by Carver Mead, in the late 1980s, describing the use of very-large-scale integration (VLSI) systems containing electronic analog circuits to mimic neuro-biological architectures present in the nervous system. 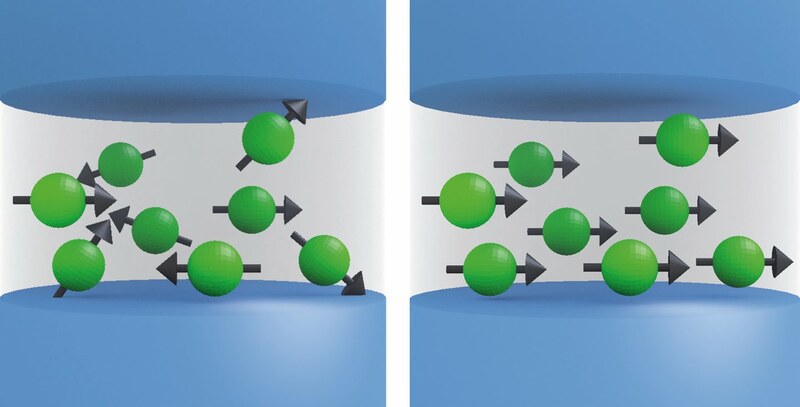 This superconducting synapse switch can be envisioned as a new type of artificial intelligence, such computers could boost perception and decision-making for applications such as self-driving cars and cancer diagnosis. The NIST synapse is a Josephson junction.These junctions are a sandwich of superconducting materials with an insulator as a filling. Josephson junction (JJ) is a device which allows a current that flows indefinitely long without any voltage applied.Such type of devices consists of two superconductors coupled by a weak link. The weak link can consist of a thin insulating barrier (known as a superconductor–insulator–superconductor junction, or S-I-S), a short section of non-superconducting metal (S-N-S), or a physical constriction that weakens the superconductivity at the point of contact (S-s-S). The synapse uses standard niobium electrodes and a unique filling made of nanoscale clusters of manganese in a silicon matrix.The nanoclusters—about 20,000 per square micrometer—act like tiny bar magnets. Our brain performs computation by sending electrochemical signals between neurons. The transmission of these signals is controlled by the synapse, tiny junction between two neurons. The receptivity of the synapse determines if the post-synaptic neuron 'spikes' in response to a signal. If the signal is not strong enough the post-synaptic neuron won't fire. As more signals are sent, the synapse becomes more receptive. This strengthens the neural connectivity enabling learning. To build computers that mimic the brain, researchers want to build artificial synapses. This requires two things.Spiking behavior and ability to learn. To provide the spiking behavior the NIST design uses a Josephson junction (JJ), a device made of two superconductors separated by an insulating layer. When a current of sufficient strength is run through the junction it produces low voltage spikes. When the current is lower than the 'critical current' there is no response. To manipulate the critical current , researchers embedded magnetic nano clusters into the insulating layers.These nanoclusters behave like bar magnets, each polarized along a magnetic axis. When magnets are disordered critical current remains high. By applying current pulses in an applied magnetic field the order of the cluster can be increased. This reduces the critical current meaning the junction will exhibit spiking behavior for lower currents. Strengthening the connection between input and output enables the synapse to 'learn' just like a neural synapse. “The NIST synapse has lower energy needs than the human synapse, and we don’t know of any other artificial synapse that uses less energy,” NIST physicist Mike Schneider said. The new synapse would be used in neuromorphic computers made of superconducting components, which can transmit electricity without resistance, and therefore, would be more efficient than other designs based on semiconductors or software. Data would be transmitted, processed and stored in units of magnetic flux. Superconducting devices mimicking brain cells and transmission lines have been developed, but until now, efficient synapses—a crucial piece—have been missing.